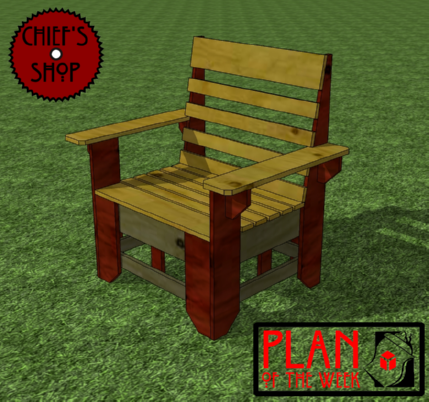 The Chief’s Shop Party Chair offers ample seat room and flat, wide arms that could hold a drink or small plate. It features similar construction techniques as used in my Rustic Series of projects - rustic bench, rustic stool, rustic side table. You’ll need a miter saw, jig saw, drill/driver, and Kreg pocket hole jig to build it.